Last year, a YouTube video showed off a physical version of the classic video game Pong. Players maneuvered a pair of paddles back and forth on each side of the table, while motors and magnets allowed the puck to bounce between each side like a souped up version of air hockey. The video garnered enough attention that its designers decided to sell the table through Kickstarter. This isn’t a cheap Kickstarter: it’ll cost you over a grand to get one of these retro-style tables for yourself. 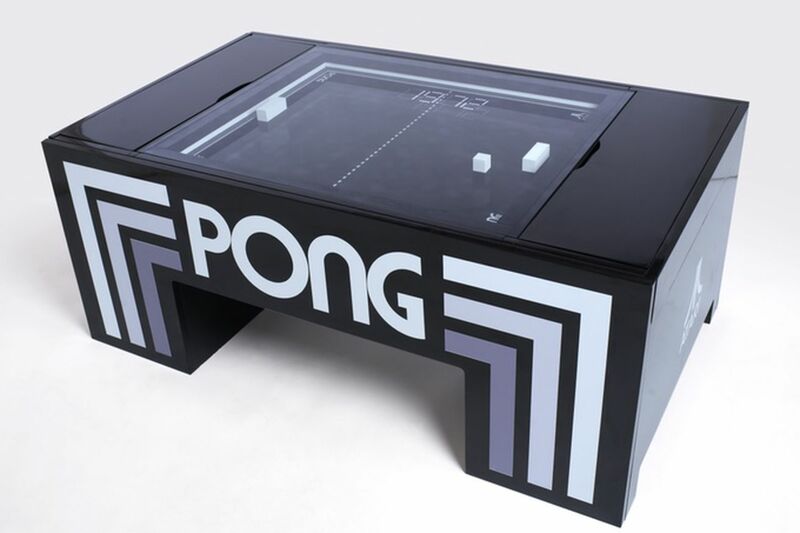 The table comes in four different styles (PONG, black, brown, or white), and backers can add on a coin slot or Atari-branded seating cubes. For $ 5,000, backers can get their unit signed by Atari founder Nolan Bushnell (or a “campus pack” of five tables). But, if you’re willing to throw down that amount of money, you’ll not only be able to play Pong IRL (officially licensed by Atari), but tell the time with a built-in clock, charge your phone with a couple of USB ports, and stream music over Bluetooth. The Kickstarter outlines that the group will start manufacturing the device in August, with delivery anticipated for December. That’s assuming that they make their $ 250,000 target in the next four days. As of now, they’ve raised just shy of that – $ 223,782.